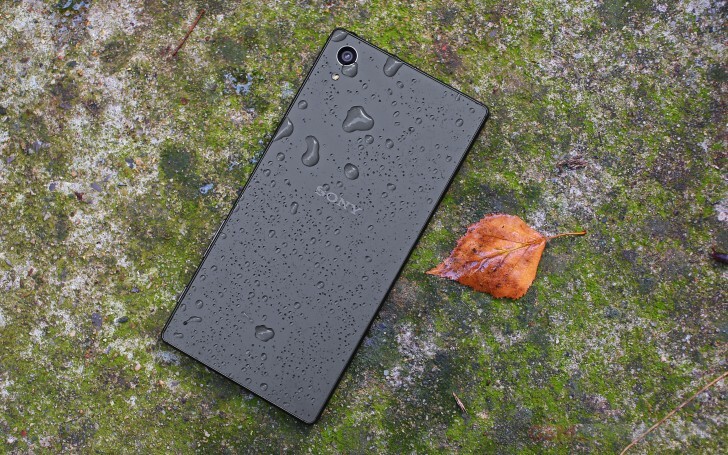 Specs-wise, the Xperia Z5 is a true flagship, no doubt about it. It runs on a Qualcomm MSM8994 Snapdragon 810 SoC, which is still the chip manufacturer's top offer, at least until the 820 comes along. It has more than enough power to spare, but also happens to be the exact same hardware involved in the Z3+ overheating fiasco. Whether it was Sony's fault or a faulty chipset batch doesn't really matter, as, at the end of the day, the Z3+ did, for a fact, overheat quite badly. This bad reputation quickly started dragging down Sony mobile's fortunes and looked like a primary motivator for the quick release of the Z5 family. This did, effectively, push the flagship issue under the rug and we are also happy to report that, as expected, Sony has made sure the Z5 doesn't suffer from overheating. Sony has really gone the extra length to ensure the Z5 handles heat diligently by employing a dual heat-pipe cooling system and quite a bit of high-efficiency thermal paste. It definitely does a better job at pulling heat away from the chip, so, even though the Z5 and Z3+ share the same core computing silicon, the former has the added benefit of better thermal management, which is generally a major stability and performance booster. It is just like investing in a big and pricy aftermarket heat sink to replace the small OEM one on a desktop pc - quite a natural thing to do and we applaud Sony for it. However, before we get too carried away, there is an important note to be made here. The Z5 might handle heat better than the Z3+, but it still got quite toasty during our benchmark tests. This time around, however, it is nothing to worry about and quite tolerable, so Sony did, in fact, remedy the original issues. Still, it is also worth noting that despite its small size and identical hardware, the Z5 Compact did run a little colder than its full-size sibling. That is odd, to say the least, but the Z5 did also manage to score a bit higher in CPU tests, so, perhaps, Sony is pushing it a bit harder. But, we digress. The rest of the Z5's specs sheet seems just as worthy for a 2015 flagship. The aforementioned eight-core chip (Quad-core 1.5 GHz Cortex-A53 & Quad-core 2 GHz Cortex-A57) is backed up by an Adreno 430 GPU, 3GB of RAM and 32GB of expendable storage. The phone's price tag also puts it squarely in the high-end realm and lets it rub shoulders with most other current flagship smartphones like the Samsung Galaxy S6, the LG G4 and perhaps even the 16GB iPhone 6s, although that might be a little bit of a stretch. We made sure to pit the Z5 against all of these phones in the benchmark comparison below and also included a few other high-end offers that come close in specs to what the Z5 has to offer, like the Xiaomi Mi 4c, HTC One M9, OnePlus 2, Meizu MX5 and others. Last, but definitely not least, we threw in a few other Xperia handsets, like the aforementioned Z5 Compact, which we recently reviewed, as well as the nicely specked mid-range Xperia M5. First up, we have the raw CPU performance test with GeekBench 3 and this is where the eight cores get to shine. We can happily report that the Z5 is performing up to par with other Snapdragon 810 devices. It fact, Sony seem to have done a truly terrific job in utilizing the raw CPU power to the fullest extent, outshined slightly only by the OnePlus 2, which has the same chipset. The Z5 did also score a couple of hundred points more than the Compact and seeing how this is a CPU only test and the extra gig of RAM couldn't weigh in like in some other scenarios, it does seem the Z5 is staining itself a bit more. There is an interesting observation to be made here, pertaining to the Xperia M5. Like we already mentioned, despite being a mid-range phone by design, its MediaTek Helio X10 SoC definitely holds its own and scores only a couple of hundred points below the Z5 Compact. If it is raw computational power you are after, then the latter might be a perfectly viable choice and it does come with a lower price tag than the Z5. However, the weaker GPU does take its toll in most of the other tests, so there is a definite tradeoff in making the more economical choice. AnTuTu is a compound benchmark, which also takes into account RAM and GPU performance. Surprisingly, the Z5 Compact blew all of the competition out of the water. It seems that Sony has invested in some quicker chips and now reaps the benefits with a whopping lead over its competitors, be it Snapdragon 810-based or not, including the Z5. Taking the smaller screen resolution into account, as expected, it actually turned out that the Compact is comes out on top and outscores the full size Z5, as far as synthetic benchmarks are concerned. Basemark OS II is another all-round benchmark. It gives an overall score along with single, multi-core performance, math performance and more. One again, the Z5 really shines, especially in the single-core department. It actually leaves behind all of its Snapdragon 810-powered rival in the overall score, which is impressive. Multi-tasking, however, seems to be a bit lacking, which was also the case with the Z5 Compact. However, it is nothing serious, nor is translatable to real life performance. Our experience with the unit showed fluent performance with even the most liberal usage pattern. Moving on to pure graphics tests and namely GFX Bench. The Adreno 430 GPU inside the Snapdragon 810 chip is pretty powerful and offers nice graphics performance. The Z5 is more than capable of handling even the most demanding Android game, as you would expect form a flagship device. As you might remember, the hardware platform in question is actually shared across the whole Z5 family, which means that the smaller Z5 Compact also has the Adreno 430 at its disposal. This, combined with a 720p resolution display allows it to achieve amazing scores, even with the new Open GL ES 3.1. The Z5, with its FullHD display is a lot more modest in on-screen frame rates, but still holds its own. As for offscreen rendering, results are comparable, as expected. Overall, the Xperia Z5 is a true powerhouse and a worthy flagship in any sense of the word. Also, it is really encouraging to see that Sony worked hard and remedied the overheating issue. It might not be a perfect fix, but is definitely a lot better than the easier alternatives, like simply going with another chip and sweeping the Z3+/Z4 under the rug - a respectable decision indeed. As for the other elephant in the room - Z5 or Z3+ - performance isn't really all that different and perhaps shouldn't serve as an incentive in itself to shell out the extra money. However, if you find yourself drawn to some of the Z5's other features, like the camera or fingerprint reader, then the steeper price might well be justified, but it is worth noting that either way, you will be getting a pretty powerful device.